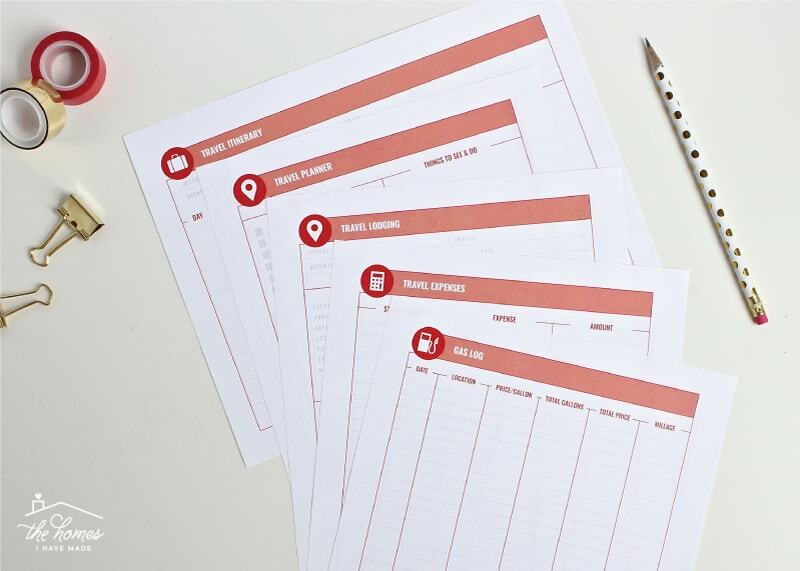 Three years ago, I made and shared one of my very first printable kits – a (very) simple set of moving worksheets. Over the years, it’s become one of my most popular downloads. Yet despite it’s popularity, I knew the kit was painfully short on truly helpful moving resources. 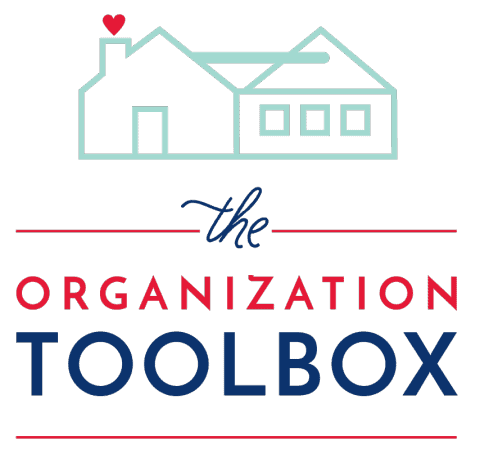 I have wanted to expand and update that kit pretty much since the day I launched it, so to say I am thrilled about this month’s Toolbox release is a total understatement! Moving is a big deal to our family (and to a lot of our close friends), so I set out to create a useful, functional, and pretty (of course!) 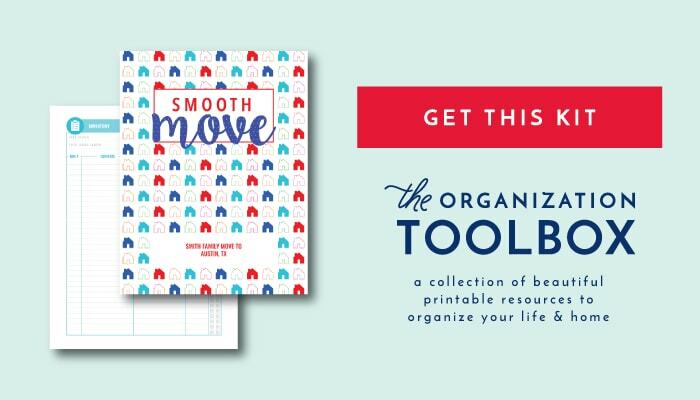 set of moving worksheets that would make our (many) moves just a little easier. I poured every idea I had into this kit, ballooning it to well over 100 pages! 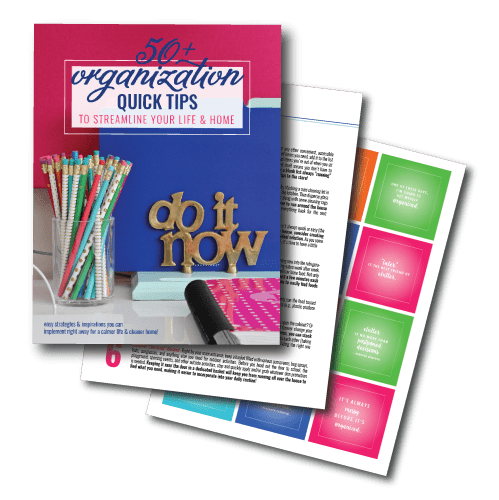 The result is a truly comprehensive set of worksheets that can be mixed and matched as needed to help you plan and organize every detail of any move, whether it’s just down the street or across the globe! I didn’t intend this kit to turn into such a massive set of worksheets. But let’s be real: moving is complicated. There are lots of details to track, appointments to make, boxes to pack and more. 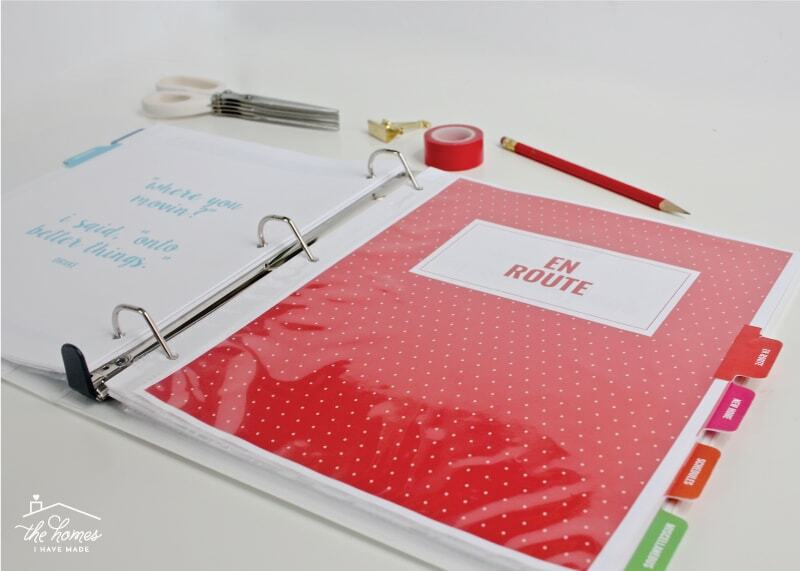 I decided that if I was going to make a moving binder kit, I was going to make one that helped track all those details with ease. 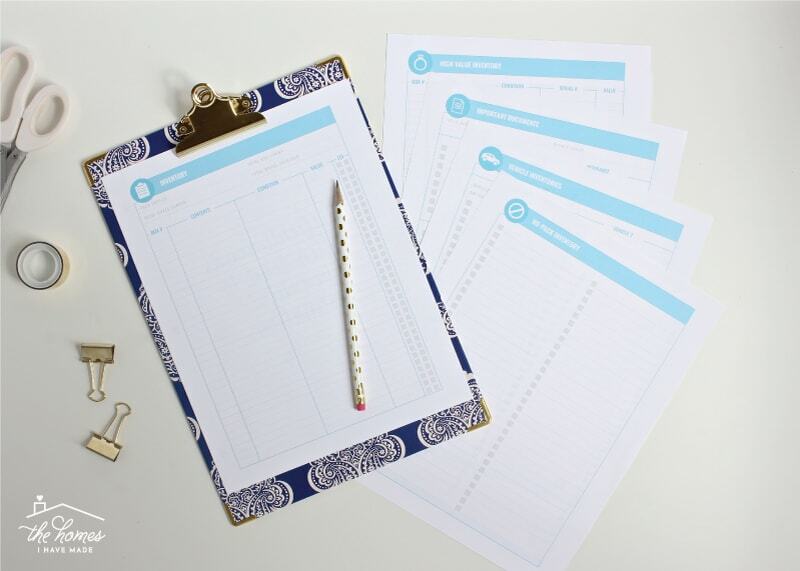 Before I dive in and show you everything included, let me give you a quick overview of how these worksheets (can) come together to make a handy printable moving binder that can be by your side every step of the way! 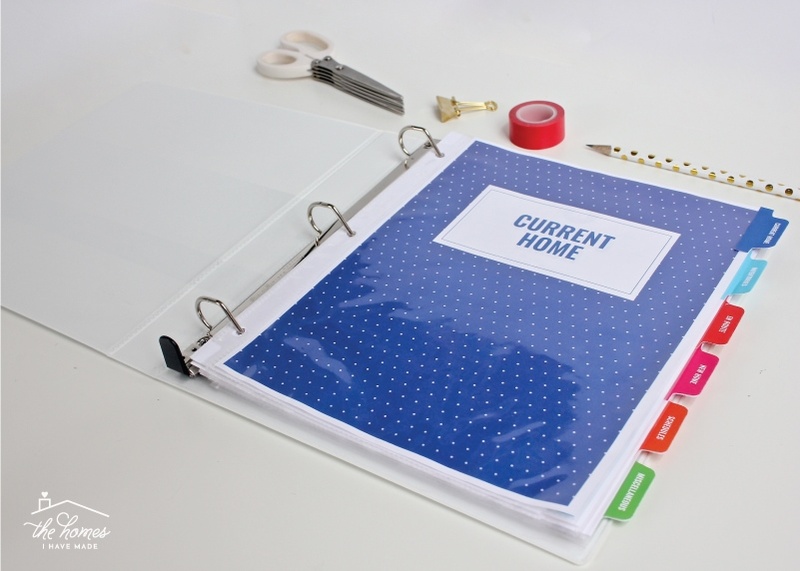 In addition to the worksheets (which I’ll go into detail below), this kit comes with everything you need to make a pretty moving binder. 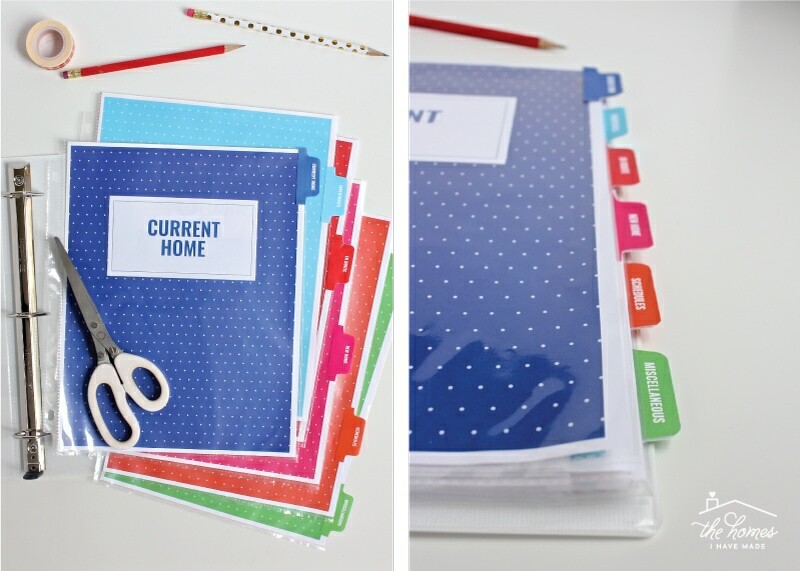 I’ve included 2 cover options (with matching spines), as well as category dividers and tabs. 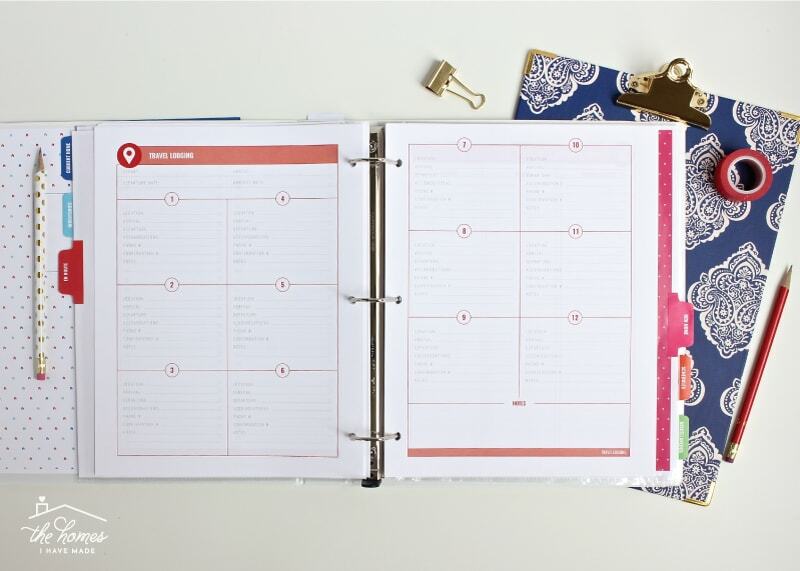 All the worksheets in this kit are organized into 6 different color-coded sections. As I mentioned above, moving has so many moving parts (ha! #punny). You have to vacate one house, move locations (which can often require travel), and then move into the other space. As such, this kit is organized into the chronological aspects of a move: Current Home (the one you’re vacating) | Inventories (to track where everything is!) 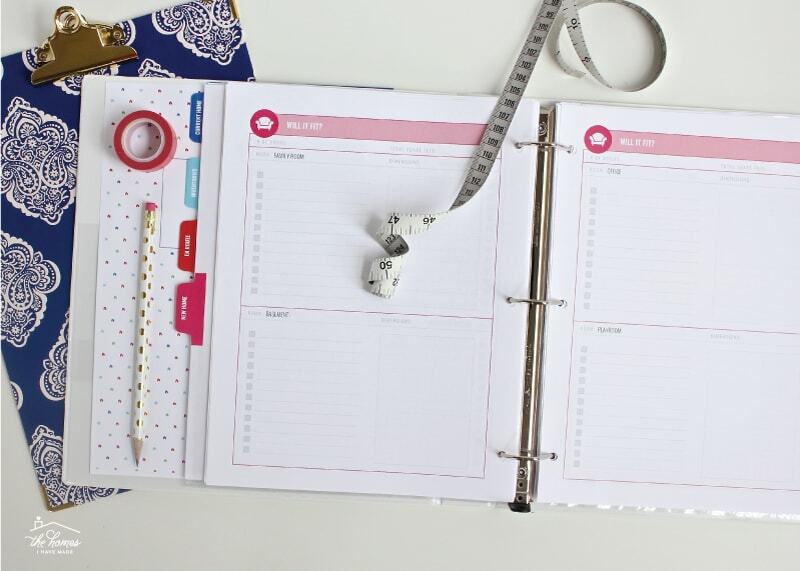 | En Route (traveling to your new location) | New Home (the one you’re moving into) | Schedules (moving doesn’t happen in a day, so I’ve given you lots of different planners to map it all out!) | Miscellaneous (for any other detail you may need to keep track of). 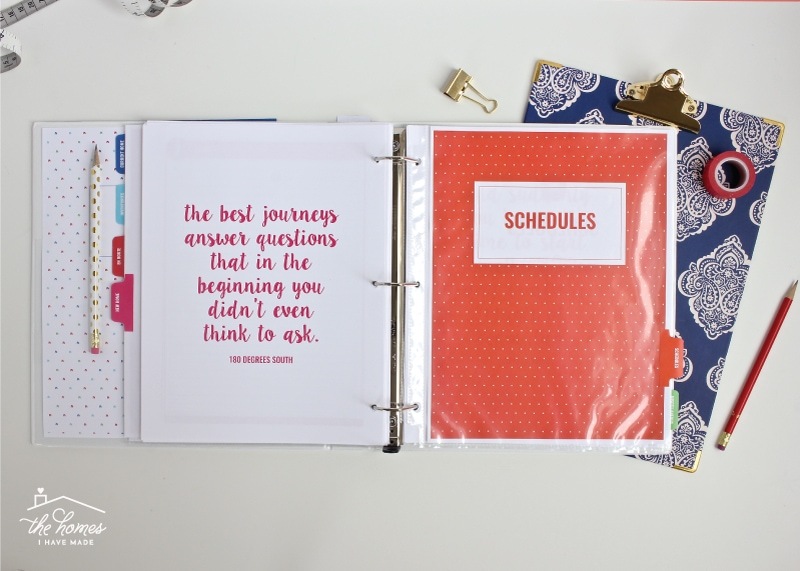 Each section comes with two cover page options, as well as printable/cuttable tabs to ensure everything matches just right! 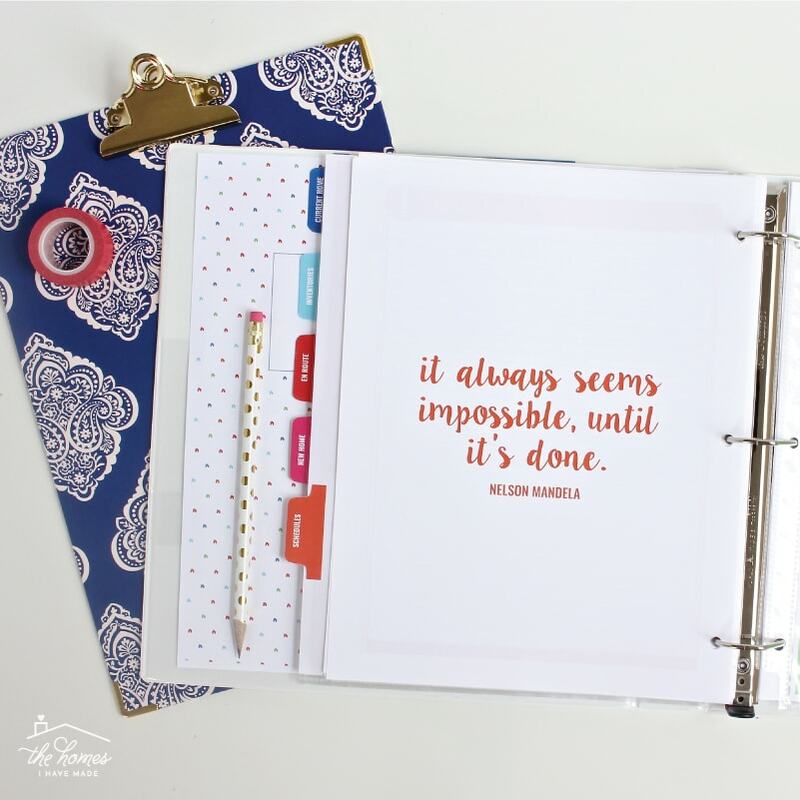 If you’re not sure how to assemble these binder dividers, you can see how I did it my Kitchen Binder here. 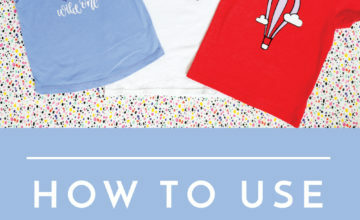 In addition to the happy colors, clean design, and intuitive icons that are featured across most of my printable kits, I’ve done a few new things this time around too! All of the worksheets are now designed as two-page spreads, as shown below. 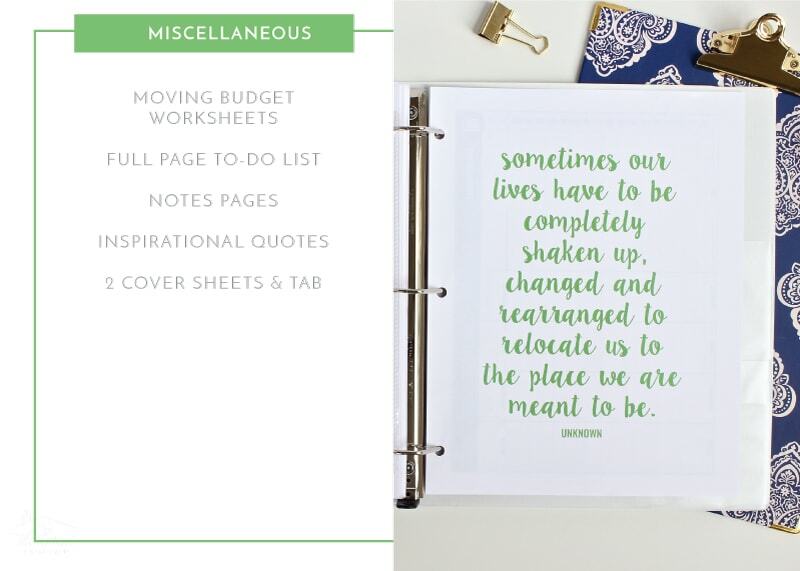 Not only does this give you a fantastic amount of space to work on, but the second page (with the small color band across the bottom) can be printed as many times as needed allowing you to expand each section infinitely! 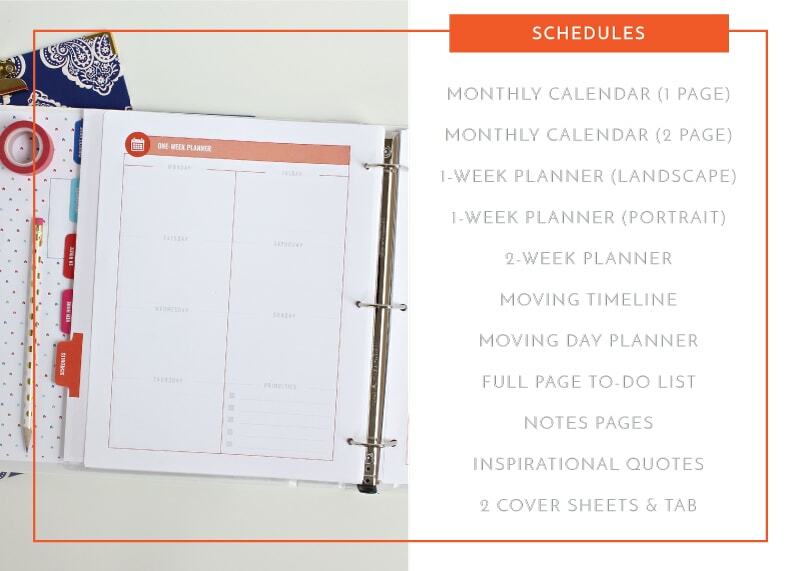 While most of the pages in this kit are designed in portrait orientation, there are a few done in landscape format to help sort and organize information better. These sheets also have matching second pages. Oh – and all those labels such as “kitchen,” dining room,” and “family room”? 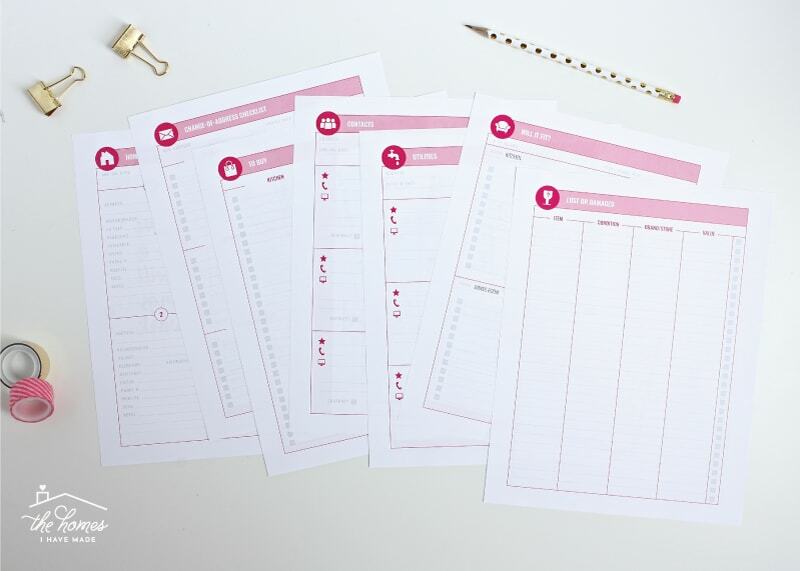 They are all changeable so you can type anything into these worksheets to make them perfectly suited to your needs! 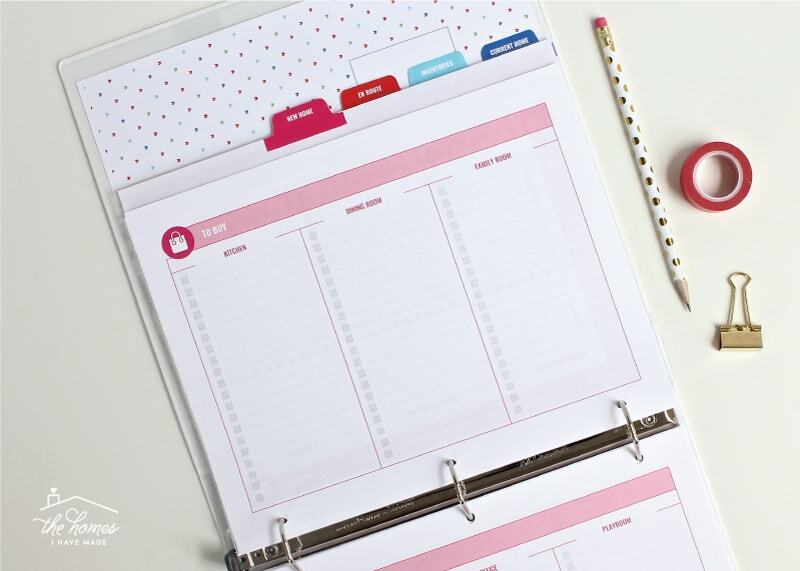 The other new thing I did this time around was design it so that when printed double-sided, you end up with a perfectly organized, spaced and complete workbook. Blank pages are inserted so that each and every page prints in the two-page spread I showed above. 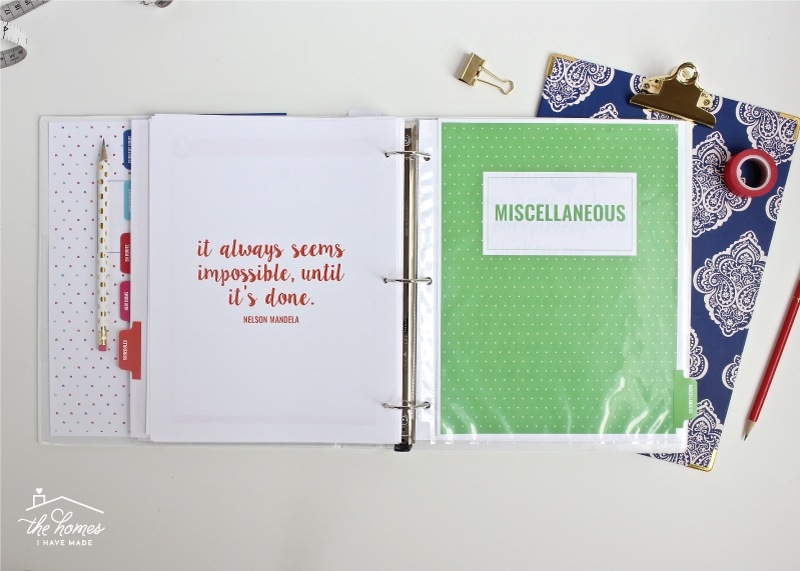 I couldn’t leave all those blank pages empty, of course, so they are filled with fun and motivating moving quotes! 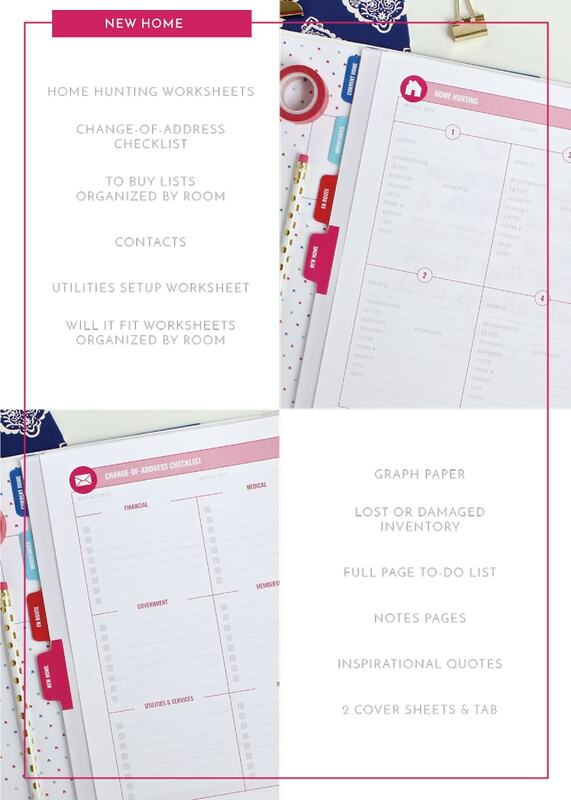 Now that you have a general sense for how this kit is organized, let me show you all the printable goodies available to help you have your most organized move yet! Before you can vacate your current home and move to a new one, there are LOTS of things to do! 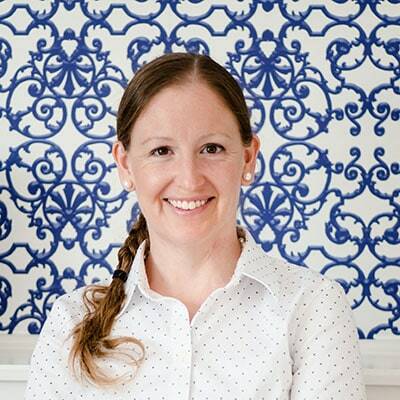 From canceling utilities, hiring contractors to make repairs, ordering moving supplies and more, these 20 blue pages will make sure everything is on track to get done. When assembling your binder, I also recommend you include your current lease, inspection checklists, utility contracts and other important documents you may need during the move out process! 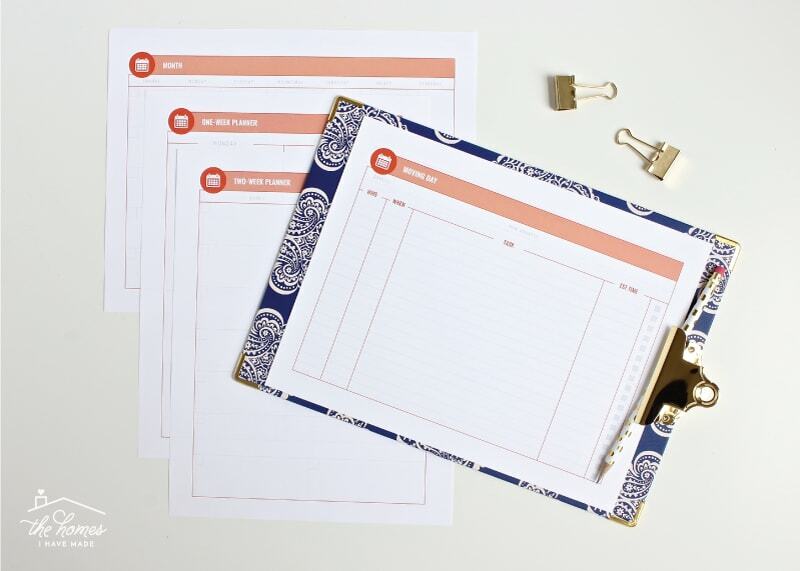 Don’t forget to include an empty page protector to catch receipts and signed-off forms! As a military family, we are fortunate enough to have professional movers box and inventory all of our belongings. However, I know that is not an option for many people. As such, one of the main things I wanted to include in this kit was a comprehensive set of inventories so you can label and track all your boxes from point A to point B! 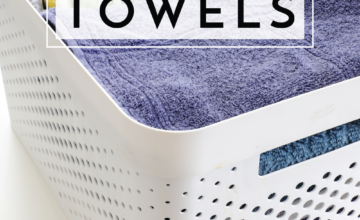 Even if you do use packers for a majority of your belongings, there are several sheets that may still come in handy. 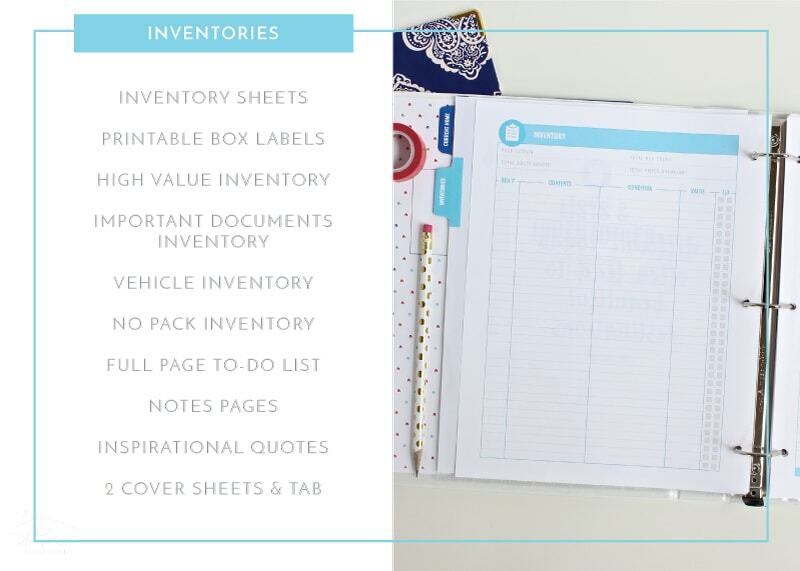 We always document our high-value items and our personal documents; and car inventory sheets help us mentally sort through what needs to go in the cars versus what can go on the moving truck! 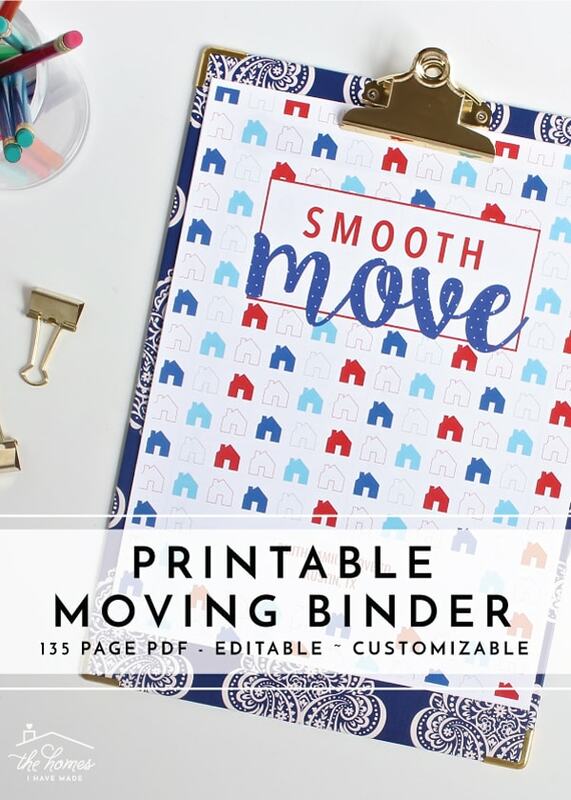 Depending on how far you’re moving, you may not need this section at all or you may need multiples of every single page! Our moves tend to be across the country, so we often need to track miles, expenses and lodging costs. 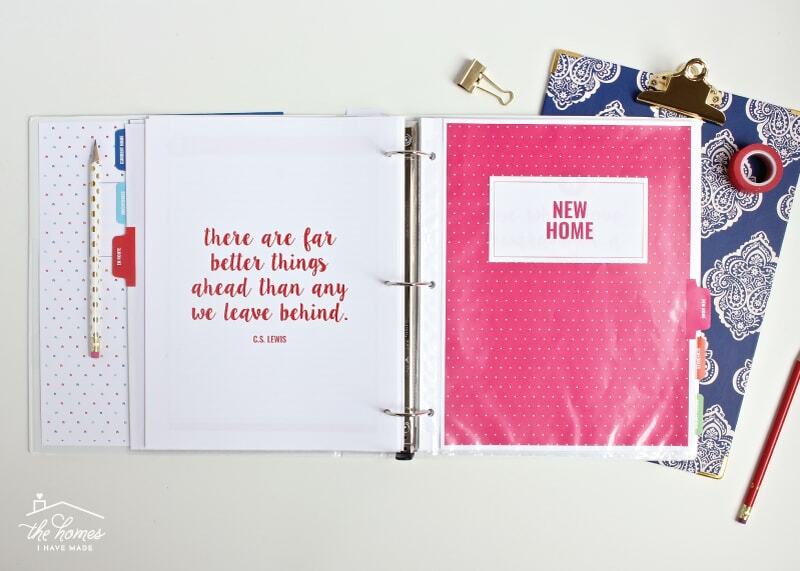 The 18 pages in this section can help you plan how exactly you will get from your Current Home to your New Home, and help you track any necessary details along the way! 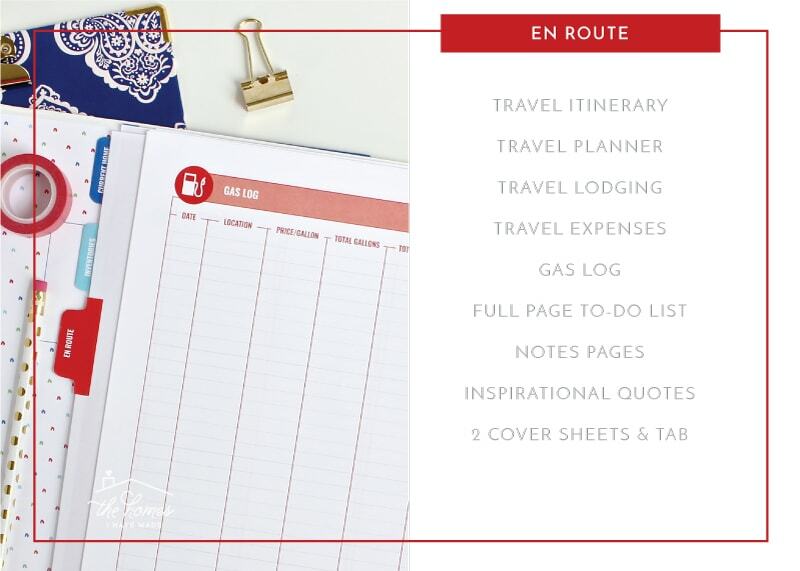 This is another section where an empty page protector is imperative to hold receipts if you will need to file a travel claim. The pink section of this kit is quite robust, sitting at 36 pretty worksheets! These are the pages that will help you unpack and get settled in your new space once you arrive! 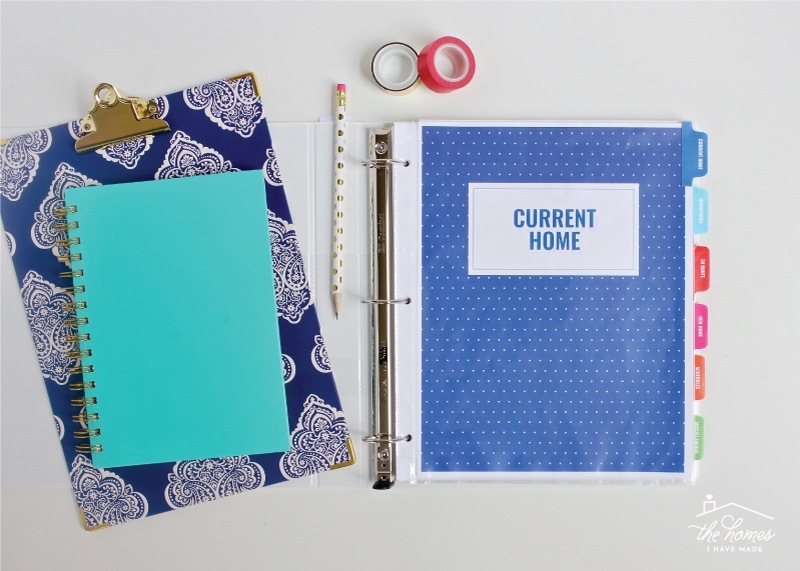 From house hunting worksheets and change-of-address checklists, to shopping lists and my favorite “Will It Fit” worksheets, these pages will help you keep all the details for your new place accessible and easy to find. 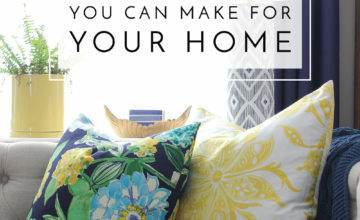 And just like all the other pages, you can type right into these worksheets to add whatever rooms, furniture and dimensions that make sense for your new home. We often have to start planning our moves months before the moving trucks actually pull away. 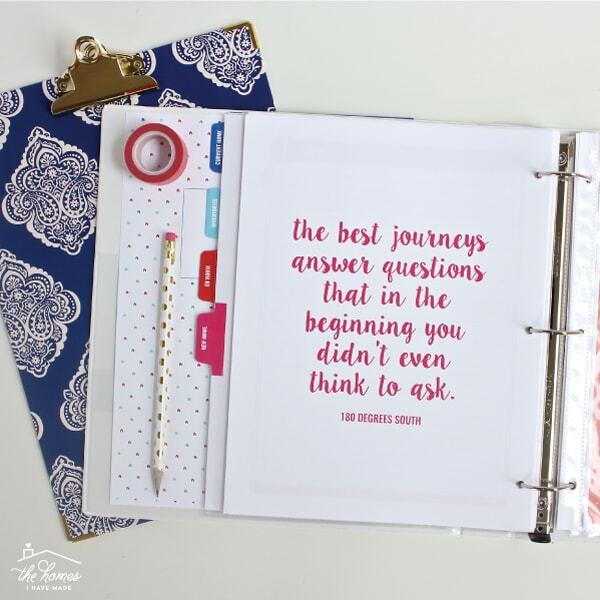 So you can plan in a way that works for you and makes the most sense considering your timeline, this kit includes a variety of planners. 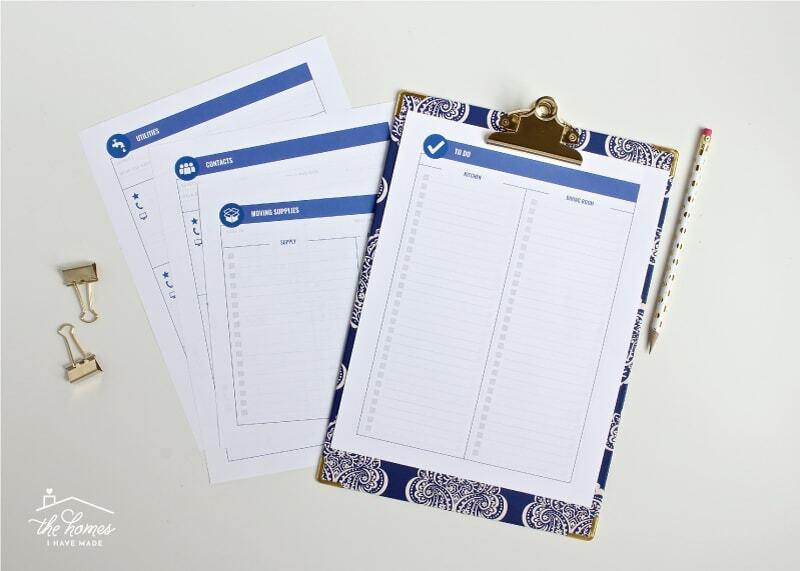 From one-week to one-month spreads, grid-style versus checklist-style planners, you can print these worksheets in multiples to cover any length of period you need! 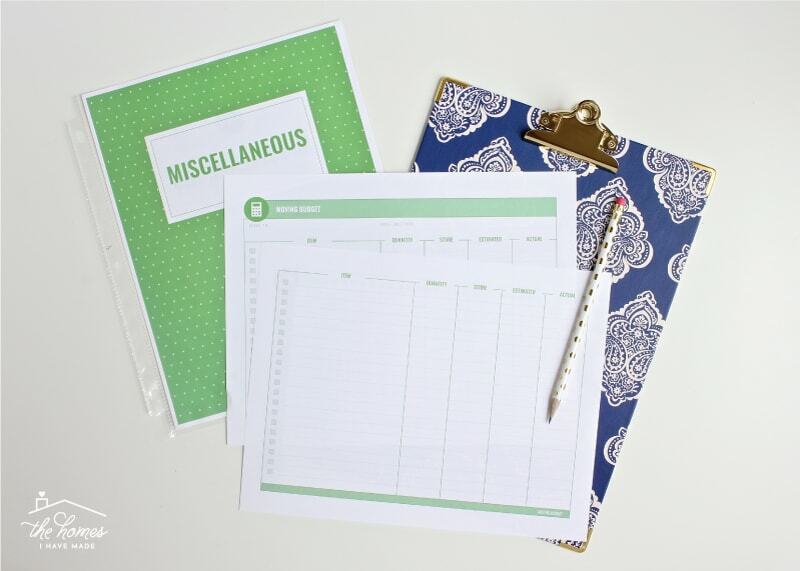 The green section is short and sweet, including only a Moving Budget worksheet, as well as the To-Do and Notes pages included in every other section. This is a great place for any random papers or information you don’t want to lose track of! 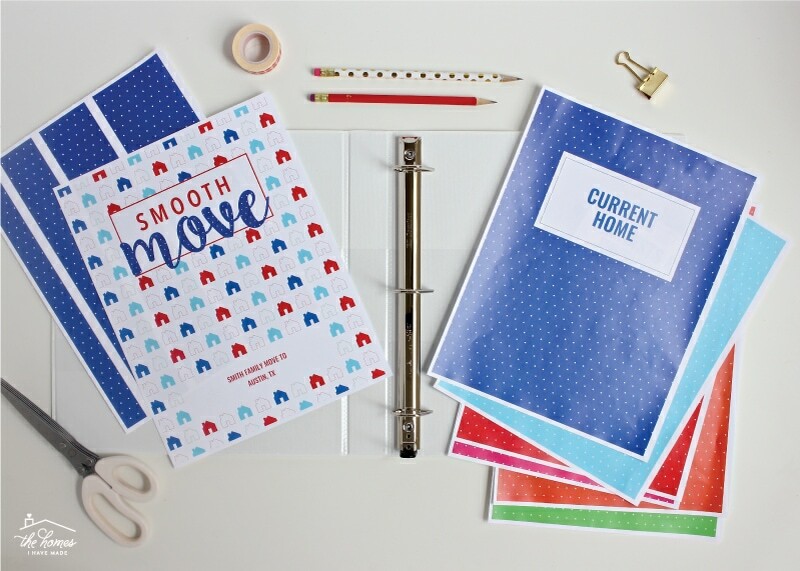 I am so thrilled with how this Printable Moving Binder kit came together. 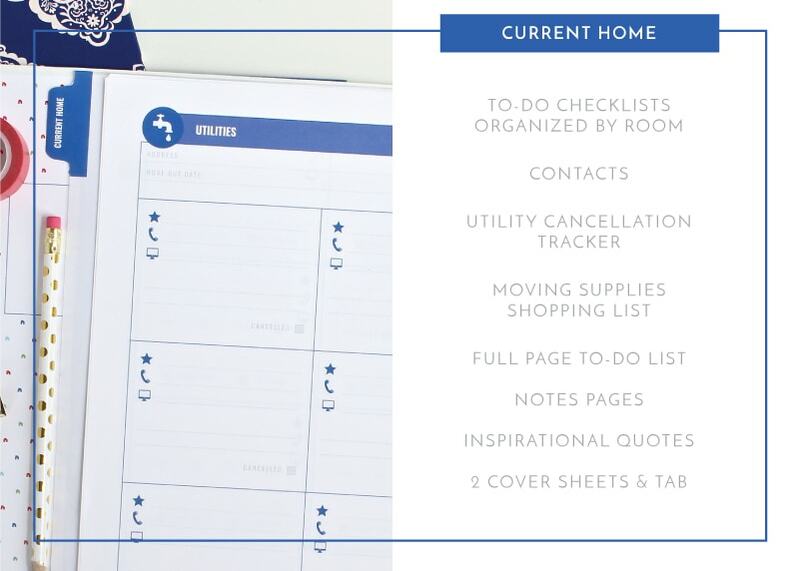 Not only are the color-coordinated sections easy and intuitive to use, but the included worksheets truly provide you with endless ways to organize and plan a move. 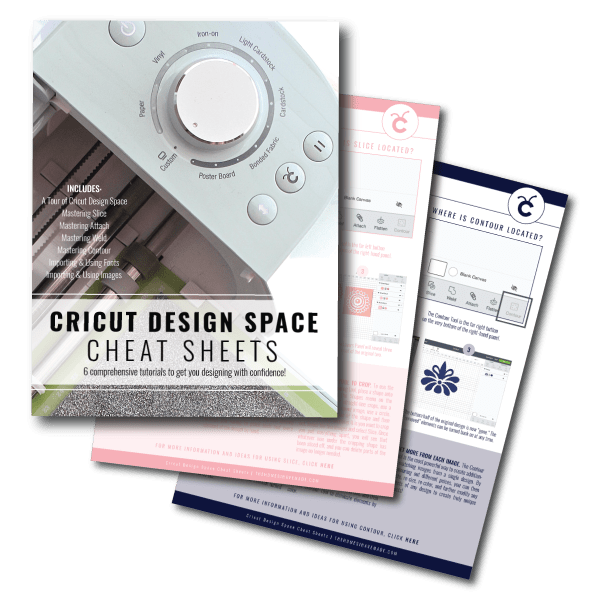 Don’t be overwhelmed by the size of this kit and the amount here…the best part is that you can always just print the elements you will need and use! 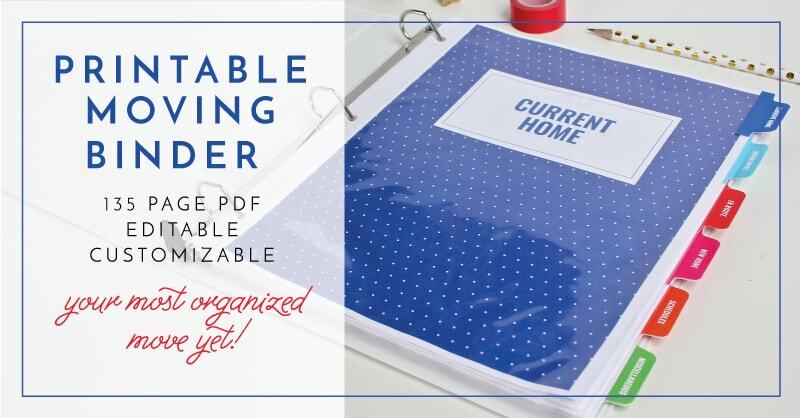 This brand-new, beautiful Printable Moving Binder kit has been uploaded to The Organization Toolbox and is available for download right now! 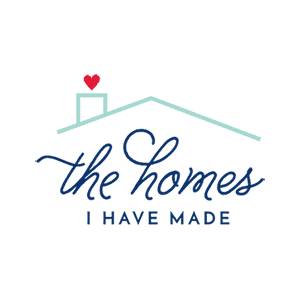 Today kicks off a “Moving Week” of sorts here on The Homes I Have Made. Back here on Friday, I’m sharing the BEST moving advice from the people who really know…a bunch of my military spouse friends! If you have a move coming up, you won’t want to miss this great advice! See you then!